One of the candidates previously found by the Kourovka Planet Search (KPS) project turned out to be the so-called hot Jupiter. The exoplanet, known as KPS-1b, orbits a star similar to the Sun with a period of 40 hours. The mass and size of the exoplanet KPS-1b are close to the characteristics of Jupiter, but it is located very close to its parent star. Due to such proximity to the star, the temperature of the atmosphere KPS-1b is much higher than that of Jupiter. Software for analyzing data and searching exoplanet candidates was developed at Ural Federal University (UrFU). 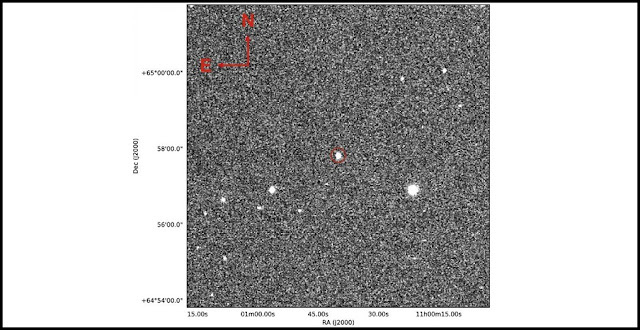 Subsequent observations of exoplanets candidates were conducted in a number of observatories around the world including the Special Astrophysical Observatory of the Russian Academy of Sciences. Spectral observations, which allowed calculating the mass of the exoplanet, were conducted at Haute-Provence Observatory (France). According to the researchers, the current discovery is unique due to the fact that signs of exoplanet existence (exoplanetary transits) were found in the data gathered by an amateur astronomer using readily available and relatively affordable equipment. The discovery was made in collaboration with astronomers from Belgium, USA, England, France, the Netherlands, Turkey, Portugal, Lithuania, Italy and Canada. The search for new exoplanets, as well as detailed studies of already known extrasolar planets, allow scientists to come closer to understanding how our solar system was formed and evolved. Kourovka Planet Search (KPS) is a project of UrFU scientists, aimed at search for transit exoplanets. As part of this project, astronomers observed sites in the constellations Cygnus, Cassiopeia, and the Big Dipper.